If there's a product you should be taking on your 20's it's collagen. 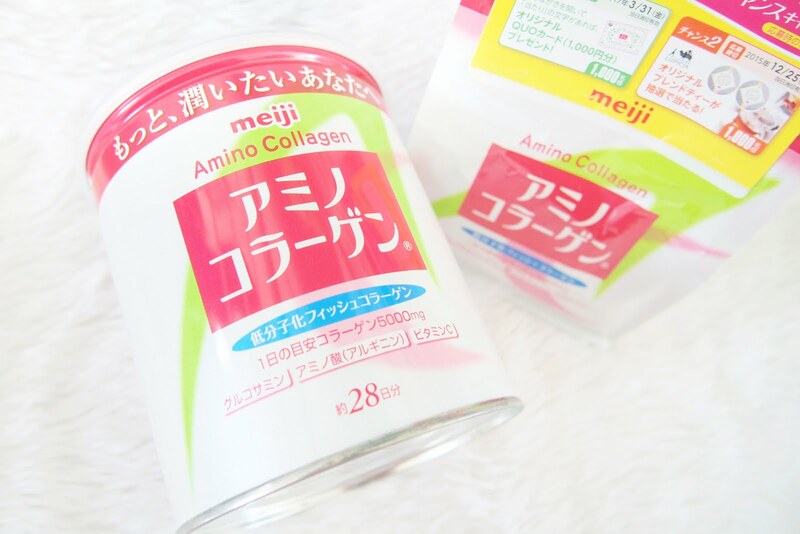 In case you're looking for a collagen supplement that delivers, try the Meiji Amino Collagen. I've finished one 5000mg can and I swear I've seen visible results. I wouldn't buy one again if it it didn't do anything to my skin. 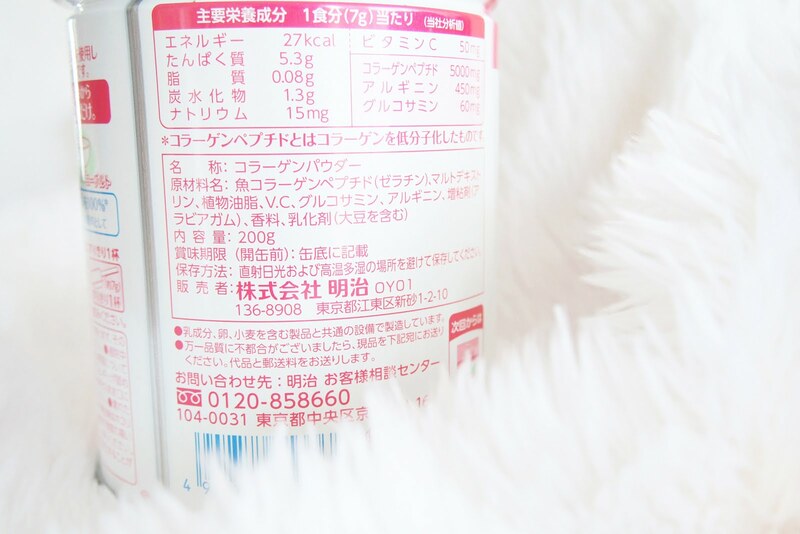 Meiji Amino Collagen is already quite popular and there are a lot of reviews you can read out there as well. So I wouldn't be surprised if some of you have heard or tried this supplement already. 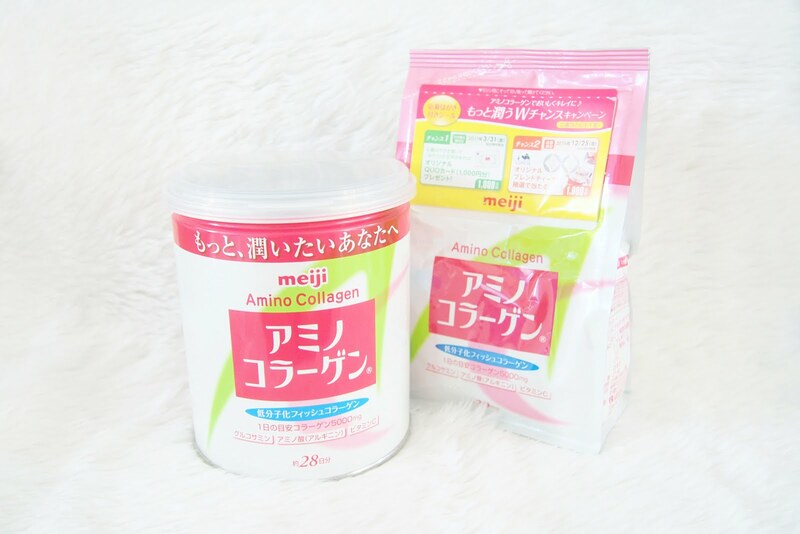 Meiji Amino Collagen comes in two variants... There's the regular one and premium. The one I have here is the regular variant. The premium version is in a beautiful gold packaging containing more skin boosting ingredients that isn't included in the regular variant. 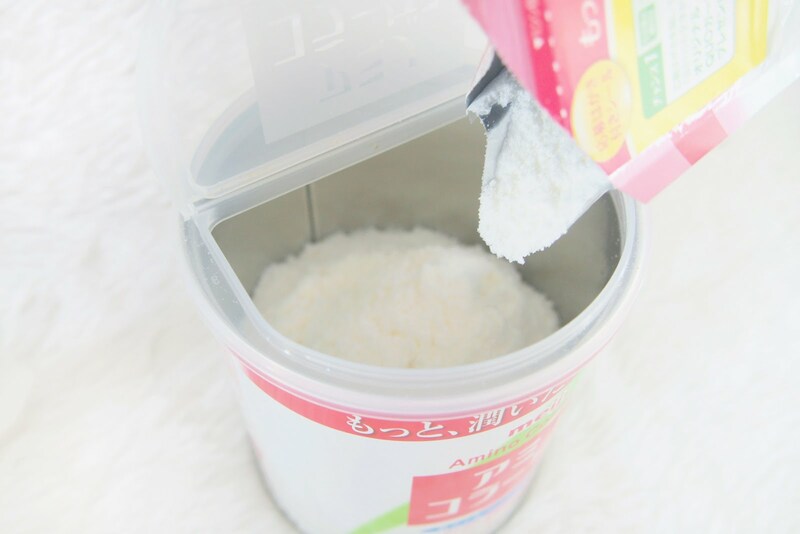 The promise of Meiji Amino Collagen is to give you softer and smoother skin. It's advertised to diminish wrinkles and dark spots plus healthy bones and joints. Both products (can & refill) were bought and delivered by kind friends who visited Japan. I asked them to buy me one since there is a mark up of P400-P500 when you buy it here in the Philippines. It's best to get the one in can first so you'll get the scoop that comes with it. You won't get the scoop in refills. In case, you're planning to get one I have to prepare you for its smell. Hahaha... Just to let you know I made people smell it and they all had the same reaction.. It smells off, bad... Haha. The powder came from fish so that's why it gives off a malansa (fishy) smell. Tiis-Ganda sa paginom mga bes. 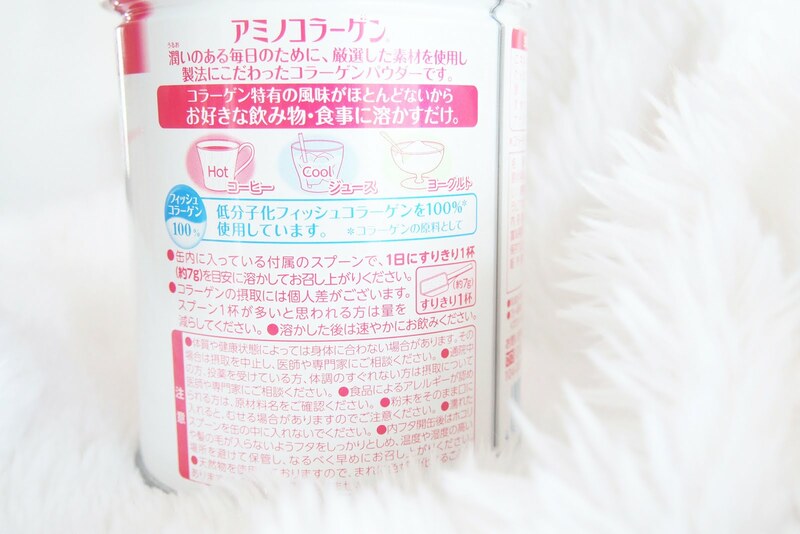 The descriptions on the can were in Japanese so I went to google to search for english instructions on taking Meiji Amino Collagen. According to the internet just 1 scoop is enough. The powder is easily dissolved in either cold or hot drink. You can mix it with you're favorite beverage before going to sleep. You may drink it any time of the day, but the best time is before sleeping or on an empty stomach. When I got used to the smell and taste (but with my nose still pinched) I'd usually just take it with plain water. Since I've just started to take the Meiji Amino Collagen again (stopped taking for a month or so because I was preparing the refill for this review) I'm back to mixing it with MILO or other types of juice. All I have are good things for the product. Yes, even it smells terrible... You'll get used to it. Lol. I wouldn't blog about it if it's no good. I find this far more effective in giving me that glowy soft and smooth skin. There were visible effects in a few days compared to the other product I've tried. I've read from another blog that the powder isn't finely milled but I like the texture of the powder. It's pretty much fine and lightweight.. I enjoy playing and scooping it on and off.. Haha. Reality in life... Imported products are rather expensive compared to the ones sold at it's home country. Both the can and refill only costs at around￥2,080 in Japan which is appx. P930. So if you know someone in Japan better ask them to get it for you. 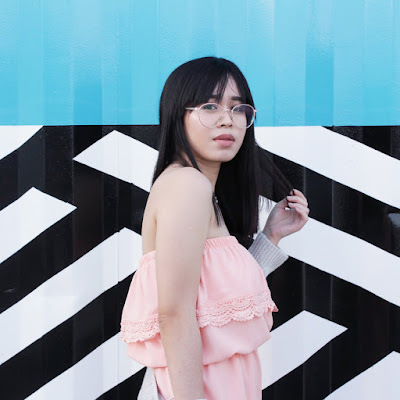 In case you don't know anyone who is in Japan you can also opt to shop from Japanichi, the Meiji Amino Collagen in Can & Meiji Amino Collagen Refill is available for P1,390 each. You can also get Premium variant from Japanichi for P2,150, personally though I think you'll be fine with the just the Regular. I've spotted Meiji Amino Collagen on Lazada as well, where the prices for the Regular variant would fall from P1,290 - P2,000 (high prices were shocking though). Just note and be careful when shopping from Lazada coz' you might get something that isn't authentic so be sure to check the reviews and the seller info or something. I'm not paid to review this product, just so you know. Like how it's always been. Thoughts are solely based on my personal experience and though the product worked great on me, effects might be different from you. Also, all images are mine and taken by me.